From December 1 – 3, 2017, the Imperial Oil Opera Theatre was packed with children who excitedly came to see The Magic Victrola, the Canadian Opera Company’s new opera for families. As on-stage duo Gracie and Sam play a mysterious Victrola they discovered in their grandfather’s attic, Papageno (of The Magic Flute fame) appears and begins to teach them all about opera. When scenes from classic operas like Lakmé, Gianni Schicchi, The Tales of Hoffmann and Carmen started to unfold before their eyes, young opera-goers were enthralled. The COC’s new Opera for Young Audiences is for kids—and for kids at heart! 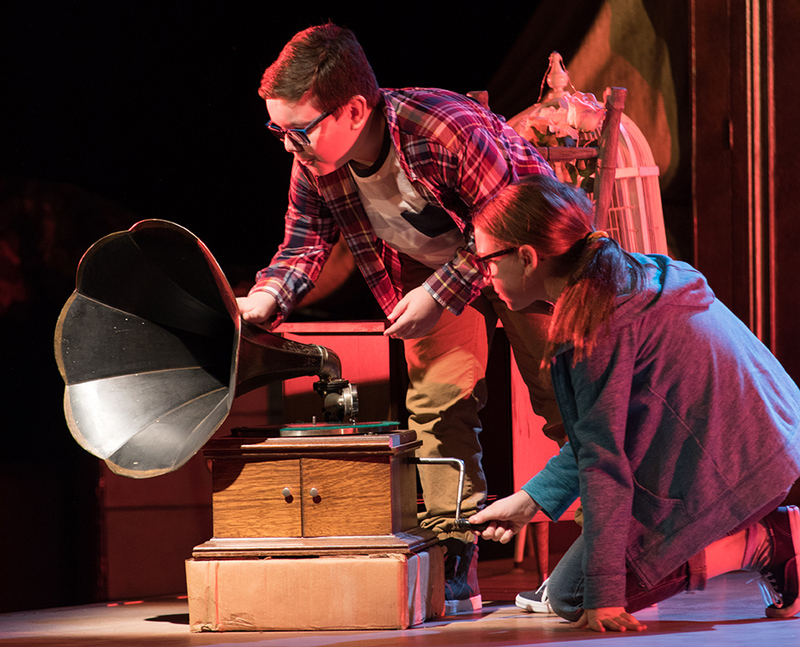 On December 1-3, opera’s youngest fans can experience a production created just for them with the Canadian Opera Company’s new, family-friendly presentation of The Magic Victrola. The story is about siblings Gracie and Sam, as they discover a mysterious trunk in their grandfather’s attic, full of costumes, opera recordings, and an old-fashioned record player—a Victrola. As they begin to play it, scenes from great operas by Bizet, Mozart, Puccini and more magically come to life before them.